Most people think that faith and science are completely in opposition to each other. This might actually be the primary reason why you don’t believe in Christianity. But most people have a misconception of how things really took place because of hard-lined “Christians” who are bitter because they think that science refutes the Scriptures. Science would say that the universe was created from a big bang, and I completely agree. The one point where we may differ is what caused the big bang. Non-Christians or possibly some Christians that do not hold to the whole authority of Scripture, would say that this was a single event that broke the laws of thermodynamics and the universe somehow exploded from nothing. Christianity and the book of Genesis would say that the universe did come from nothing, or “ex nihilo”, but it was God that was the initiator. The Bible says that God created all things for his glory, and to point to how awesome he is. There have also been many wrong views in the history of religion about the universe. Pantheism would say that the universe itself is God. This would be religions such as Buddhism, Native American religion and man eastern religions. Dualism would say that the universe has simply just existed and there has been a struggle of good and evil that pervades throughout history, and it is a toss-up who will win in the end. 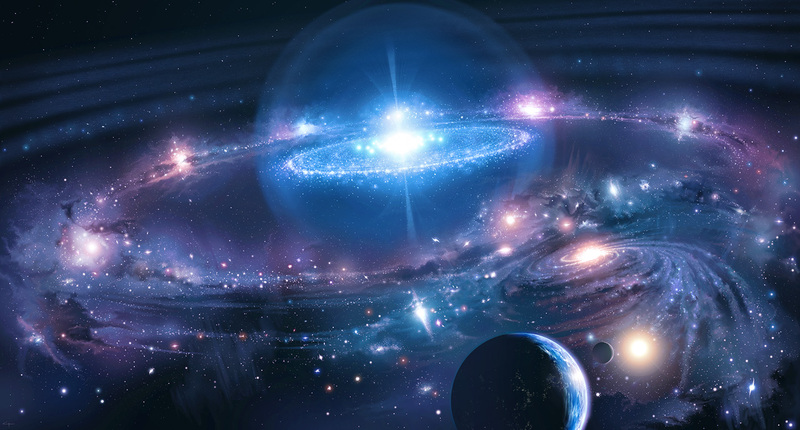 Deism says that God did create the universe, but he is not intimately involved in it, nor cares about it. Finally, Materialism would say that universe is completely physical and there are no spiritual aspects to it whatsoever. The truth is that God created the universe, and all three parts of the Trinity were uniquely involved. The Father ultimately created the universe through the Son while the Spirit was present and gave life to creation. Psalm 33.6 says, “By the word of the LORD the heavens were made.” This all happened approximately 13.8 billion years ago as evidence by the expansion of stars in the farthest of galaxies that exists. At first all things were created “good” and to reflect God’s glory, but it was our sin that ultimately brought death into the world. However, as Christians we look forward to a day when that will all be restored as seen in the book of Revelation, Chapter 21. Tonight, if you live in a place where you can actually see the stars, look up and see how awesome the universe is and how powerful of a God it would take to create such a magnificent thing.